HENDERSON, KY (KTRK) -- A driver is accused of fleeing on foot after plowing his car through a Memorial Day cross display. 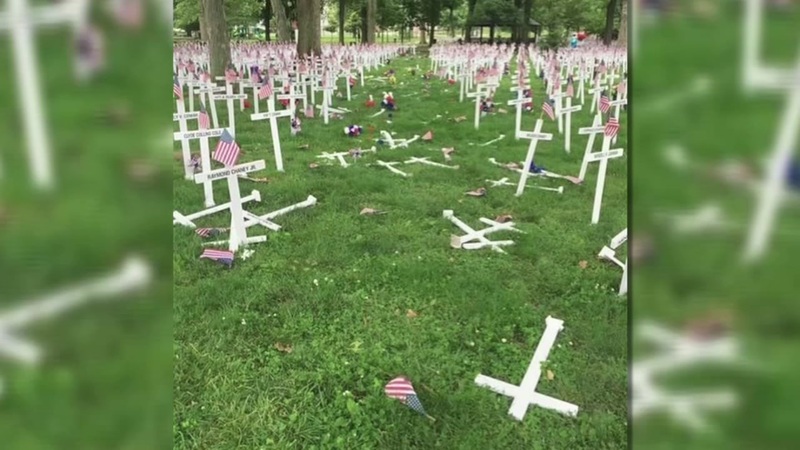 Anthony Burrus allegedly made a huge mess after his car careened through a display featuring hundreds of crosses at Central Park in Henderson, Kentucky. About 160 crosses were damaged and about 20 were destroyed. Police say they found Burrus' abandoned car with pieces of a cross embedded in the tires. Tips from neighbors led to the man's arrest. Burrus faces charges of criminal mischief and leaving the scene of an accident.